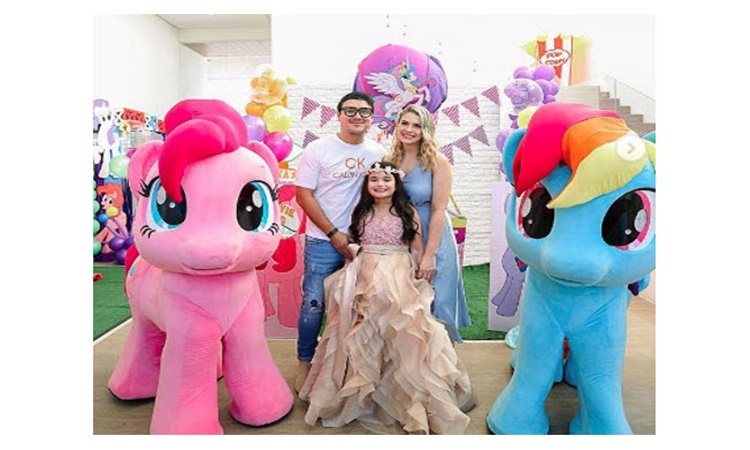 JOHN ESTRADA – Married celebrity couple John Estrada and Priscilla Meirelles’ daughter named Anechka celebrated her 7th birthday. Filipino hunk actor John Estrada is one of the prominent celebrities in the entertainment business. The actor has played countless roles as a leading man, antagonist, and comedian in tv shows or movies. Among his popular movies includes Unexpectedly Yours, Trophy Wife, and Caregiver. John Estrada is currently under contract with the Kapuso network and one of the cast of the tv series Kara Mia. He has children with his ex-wife Janice de Belen. Their four children are Moira Estrada, Yuan Estrada, Kaila Estrada, and Inah Estrada. The actor is currently married to the Brazilian model-actress Priscilla Meirelles. The celebrity married couple have a beautiful daughter named Sammantha Anechka. One for the wall…… thank you @niceprintphoto ….. you guys are petmalu…. John Estrada and Priscilla Meirelles’ daughter Anechka turned 7 last February 6. The grand birthday celebration of the beautiful young girl was held on February 9. Anechka chose the popular toy line “Little Pony” as the theme of her lavish birthday party. The video of the grand birthday party was shared on social media by Niceprint photography. It featured all the colorful decorations that are certainly astonishing. Wife of John Estrada revealed on her Instagram post that she personally chose the materials that were utilized in Anechka’s birthday celebration.